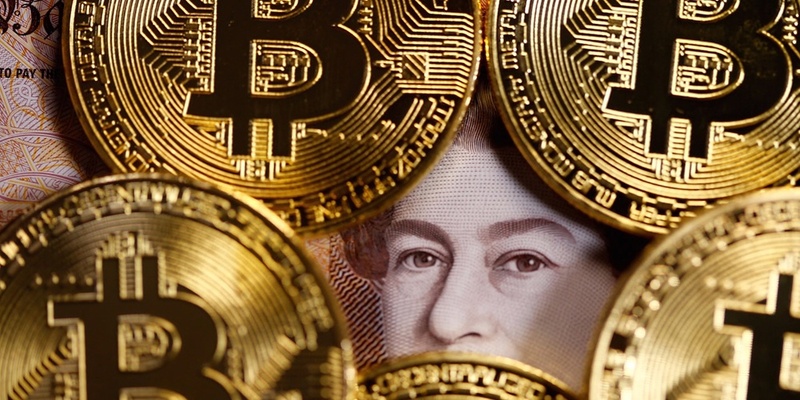 To talk about Bitcoin gambling legislation, we first need to talk about Bitcoin’s legality in the UK. As you probably already know, gambling is legal in the UK. Each casino with a United Kingdom Gambling Commission (UKGC) license can accept customers from the UK. So what is important here is that Bitcoin can be used as a payment tool in such licensed casinos or not. Short answer: This decision is made by the casino. For a long answer, we need to give some preliminary information. In order for a currency to be accepted as a legal instrument of payment, there must be a legal regulation on it. For example, there are a lot of regulations on currencies that Europe banks can accept. You can use these currencies to pay for merchants and service providers in Europe. In general, we can say that any currency produced by a government and controlled by a central authority is on this list. Bitcoin is not listed on any list. The reason for this is that it is not produced by any state and is not controlled by any government. This cryptocurrency is produced by its users in a process called “mining”. Its usage is not subject to any control. Anyone who wishes can become a part of the blockchain and operate out of the banking system. Court of Justice of the European Union defines Bitcoin as a virtual currency and states that it is not subject to VAT. For the same reason, European banks are advised not to accept it. As a matter of fact, in any European country, including Britain, you cannot deposit or store Bitcoin in a bank. BTC is still not available as a legal means of payment because all current legislation on the subject is about currency units that can be stored in banks. However, this does not mean that it is illegal. Simply put, there are no European countries that have a regulation about it. There is only one law about Bitcoin in the UK: It regulates that income from Bitcoin is subject to income tax. So if you’ve made a profit by trading in any currency, that’s subject to income tax, and BTC profits are seen as an income too. Apart from that, there is no legal regulation in the UK that says “Bitcoin could be used as a payment instrument”. So we can say that legally, it is in a “grey” area. Since the United Kingdom Gambling Commission operates under the Gambling Act of 2005, it does not contain any arrangements for Bitcoin. The law is simply too old to recognize cryptocurrencies. This means that an online casino can choose to accept BTC as a payment instrument on its site, and this won’t affect its license. However, it is still necessary to comply with legal regulations on Fiat currencies, such as the Anti-Money Laundry Act of 2019. In short, you can accept Bitcoin wherever you like, if you are prepared to fulfil all the responsibilities that the laws bear to you. The problem is that it is not possible to comply with some of these obligations due to the nature of Bitcoin. For example, the Anti-Money Laundry Act of 2019 in the UK obliges business owners to record the identity information of their customers. This not a law about Bitcoin, it’s only aimed at blocking money laundering. But Bitcoin is an anonymous currency by nature, so users can keep their credentials private if they wish. It is therefore very difficult for an online casino to accept BTC and comply with the Anti-Money Laundry Act. For this reason, it is almost impossible to see Bitcoin support at the casinos that are licensed by the United Kingdom Gambling Commission. Although there is no direct legal regulation of Bitcoin, other laws include regulations affecting BTC users as well. Without this chaos being resolved, it is unlikely that we will see a UKGC casino that can “officially” accept Bitcoin. The only solution to this problem is “upgrading” the Gambling Act of 2005 and regulate cryptographic currencies, including Bitcoin. Of course, in order to be able to do that, Britain must first recognize Bitcoin as a currency. To be honest, nobody thinks this will happen anytime soon. Bitcoin gambling will remain in a “grey” area for a long time in the UK as well as in other countries of the world. Of course, if you choose a casino that operates entirely on the blockchain, you will not experience any of these problems: This type of casinos do not use licenses and can accept members from all around the world, including the UK. However, for the same reason, they have various security risks. So, if you want to use BTC freely in a casino with a UKGC license, you have to wait quite a while for the laws to catch up.